Mobile Price in India: Latest Mobile Reviews, Mobile Features and Specifications, Mobile News from India. Get Latest Dual SIM, 3G, Android and Touchscreen Mobiles Price, Reviews, Features, Specifications & More. Research In Motion has launched the BlackBerry Torch 9860 smartphone in India at a price of Rs 28,490.The BlackBerry Torch 9860 smartphone is equipped with a 3.7 inch display and it runs on the new BlackBerry 7 operating system and it powered by 1GHz fast Processor. 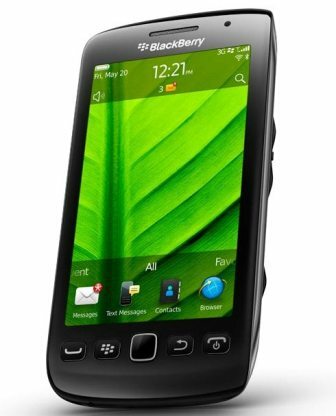 BlackBerry Torch 9860 Features 5MP Camera with flash with HD 720p Video recording, high Speed 3G Connectivity. It Supports Wireless LAN Wi-Fi, Bluetooth, MicroUSB and GPS navigation with Blackberry Maps. It comes with Internal 4GB Storage with 768MB RAM and up to 36GB Expandable Memory with MicroSD card slot. BlackBerry 7 provides users with a fast, fluid and intuitive experience, featuring a next generation BlackBerry Browser, voice-activated searches, the ability to manage personal content separately from corporate content, as well as additional personal and productivity apps out of the box. BlackBerry Torch 9860 Price in India: Rs. 28,490/- approx.